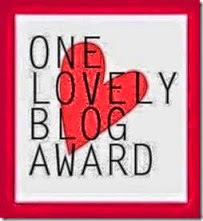 I am honored and grateful to receive the “One Lovely Blog Award” from two of my fellow bloggers! To be recognized for your work by your peers is encouraging, even inspirational! Then to get to know other bloggers through their nominees is icing on the cake! Thank you so very much Cathy Meder-Dempsey whose blog I love is: Opening Doors in Brick Walls, and Fran Ellsworth with her great blog: Branching Out Through The Years. 1. I have been married 43 years, have two grown daughters and three grandchildren! My sister often edits my blog posts for me, and family means the world to me! I have several good friends who have been so for over 40 years, they are the treasures in my life, along with newer ones as well! The love and support of family and friends means everything to me! 2. I love Elvis! Jailhouse Rock is one of my favorites of his songs! However, when I played guitar I mostly played folk songs by artists like Peter, Paul, and Mary. Of course, it was the 1960’s! I also loved to play children’s songs like “I’m in Love With a Big Blue Frog” as well! 3. I am disabled with heart disease, and had experimental open-heart surgery at Duke University Medical Center many years ago. My disease keeps me close to home and using a wheelchair to go far, due to my body’s inability to get enough oxygen pumped around my body! Nonetheless, I garden by sitting in and crawling around the garden, play with my grandkids, and enjoy the world from facebook! 4. I am deeply spiritual. I believe strongly in the power of prayer and have felt that prayer myself. I am a strong believer in angels! 5. As a young woman I could run like the wind, swim for miles, and loved to dance! Wish I still could! Professionally I taught emotionally disturbed children for seven years before becoming a marriage, family, and group therapist for twenty. 6. Reading and writing are two of my favorite things! I’m a book lover! Downsizing has forced me to let go of some of my books, and that purging was very sad! I’ve loved to write since I was a young child. I had a little desk, that had been my Mom’s and that I still have and care for. The desk was located in my bedroom in one of those little alcoves inside a dormer window. I used to love to sit there, look out at the top of the trees and at the blue sky, daydream and write! I’m still a dreamer! 7. Volunteerism was and is a great part of my life, and I admire it in other people tremendously! To serve others with a truly altruistic spirit, is one of the greatest Chruistian values, I believe. Over the years I served in many, many volunteer capacities with my children’s schools, women’s centers, my church and community. I admire others who serve as volunteers in a million different capacities. Today my volunteerism is limited, but I enjoy helping a friend learn something, and helping via the computer when I can–like helping build someone’s family tree! I have to say, I am the recipient of a lot of help myself, and I am grateful for it! 1. Amy Johnson Crow has a wonderful blog called No Story Too Small! Besides sharing interesting family stories with us from her genealogical research, Amy administers the 52 Ancestors in 52 Weeks Challenge, now in its 38th week! I stand amazed at all her accomplishments! 2. Aquila Herus has three blogs and I like them all. Her genealogy blog, Lineage Hunter is the one I am reading most often at this time. But she writes one called Aquila’s Place, An Eccentric Mix of Literature and Opinions which is very cool also! I love her recent poem on spam! This prolific writer has a third opinion blog called How Dare They. 3. Carolyn Thomas for her awesome blog, Heart Sisters, all about heart disease and women, hands down best on the web! 4. C ate Russell-Cole for her blog Empowering, Encouraging and Equipping Writers of all Genres, I love this blog! It gives me inspiration daily! 5. Charles Moore for his blog Moore Genealogy, a great combination of teaching and story telling blog! I have enjoyed this blog since my first experience with blogging. 6. Edyth O’Neill for her blog My Red Cape. I love the crafts and decorating tips she offers. Most of all I love the way she describes things, like this about her blog: “I draw inspiration and happiness from the memories of that space in time and share some of it here with friends who remember how to step with Alice through the looking-glass and take delight in whimsies and antiquities.”–Edyth O’Neill Isn’t that wonderful! 7. Gail Kae for her blog Chips off the Old Block! I love that creative name, and find her genealogical blog entertaining and thorough! Great accomplishment Gail! 8. Janice A. Brown for her blog Cow Hampshire! That name is so typical of Janice’s flaming sense of humor! 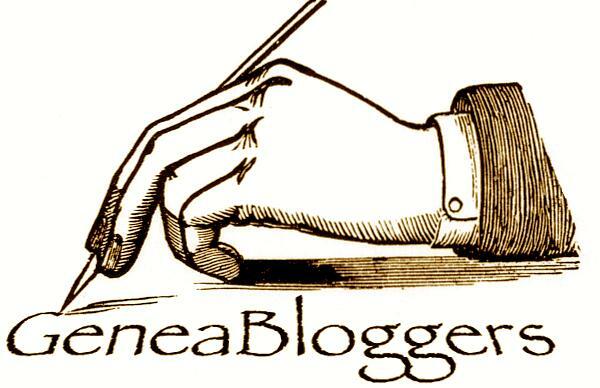 It is a wonderful New Hampshire history, genealogy, photography and humor blog! I have gotten to know and admire Janice for her work encouraging other genealogy bloggers on her facebook group by that title! She makes it a joy to interact there. 9. Jeanne Bryan Insalaco, for her Blog of 52 Week Ancestor Stories.I love Jeanne’s stories, her genealogical focus, and most of all her enthusiasm and encouragement of other authors! It has been a joy getting to know you Jeanne! 10. Kassie Ritman for her blog Maybe Someone Should Write that Down! That title alone is an award winner! she writes about genealogy and family stories, but more she writes for writers and shares information from the workshops she teaches! Great Blog! 11. Nigel Boldero for his blog Old School Garden, a blog of gardening techniques told with great humor! I love it! 12. Patricia Ametherea for her inspiring blog Awaken Heal Inspire, using Integrated Energy Therapy. She provides my daily dose of reminders to take care of myself, and to think positively! Thank you Patricia. 13. Wendy Thomas, Lisa J. Jackson, Susan Nye and Jamie Wallace and others in Live to Write–Write to Live, Professional Writers Talk About the Craft and Business of Writing. I cannot tell you all that I have learned from this blog! They are great and the group effort means you always get new ideas! What fun this has been, and I have loved contacting my nonminees! Thank you again Cathy Meder-Dempsey and Fran Ellsworth–your thoughtfulness has brought me great joy! Categories: Awards | Tags: Cathy Meder-Dempsey, Fran Ellsworth, One Lovely Blog Award, Thirteen Great Bloggers | Permalink.